Ghana’s former President, Flt Lt Jerry John Rawlings, has in a meeting with the Israeli Ambassador to Ghana, Sharon Bar-Li, stated that the major pre-occupation of the December 1981 revolution was to rid Ghana of corruption and do away with the enslavement of our culture by foreign influence. 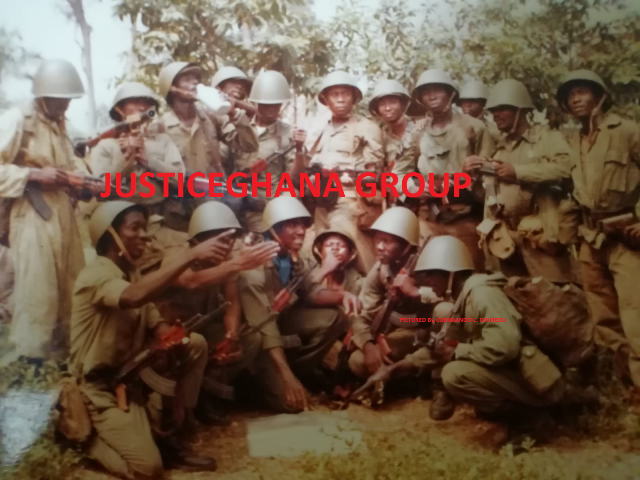 President Rawlings said the abuse of governance in the 1970s by the military, destroyed the integrity of the institution hence the June 4 1979 uprising. Speaking during a courtesy call by the Israeli Ambassador on Wednesday June 13, President Rawlings said Ghana is currently enduring a stressful political situation because of the of inability of the current government to take advantage of the high political testosterone that characterised the electoral victory of 2008/9. Ambassador Bar-Li told President Rawlings that the recently re-opened Israeli embassy was focusing on economic, trade and development cooperation with Ghana. She said Israel was discussing a financial protocol with Ghana to support small-scale business deals in Ghana. The Israel Ambassador said Israel was also supporting healthcare in the country with particular emphasis on the training of medical personnel, reduction of maternal mortality and early childhood education. She said Israel would not hesitate to impart knowledge in areas where she had the expertise. Later in a meeting with the Head of the EU delegation to Ghana, Claude Maerten, President Rawlings was informed of the 7m Euro support through the Media Commission, National Commission on Civic Education and the Electoral Commission towards successful information dissemination for the 2012 elections. Ambassador Maerten also informed President Rawlings that 25 million Euros had been voted towards the supporting the construction of roads in the Easter corridor of Ghana. The Ambassador commended President Rawlings for his positive role in the development of Ghana and stated that his predecessor had briefed him on the influential role the former President had played in the development of Ghana. “It is within that spirit of development that the EU still has partnership with Ghana,” Ambassador Maerten noted. Ambassador Maerten said Ghana had a lot of potential that needs to be unlocked and the EU will in partnership with government support projects in the irrigation, roads, energy, employment and vocational sectors. President Rawlings called for the EU’s support in protecting the country’s maritime territory from being abused by illegal fishing from foreign vessels. On Thursday June 14, President and Mrs. Rawlings had a lunch meeting with the French Ambassador to Ghana, Frédéric Clavier and senior embassy officials during which matters of mutual concern to the two countries were discussed. In attendance were Madam Sylvia Ahorlu, Messrs Kofi Adams and Kobina Andoh.